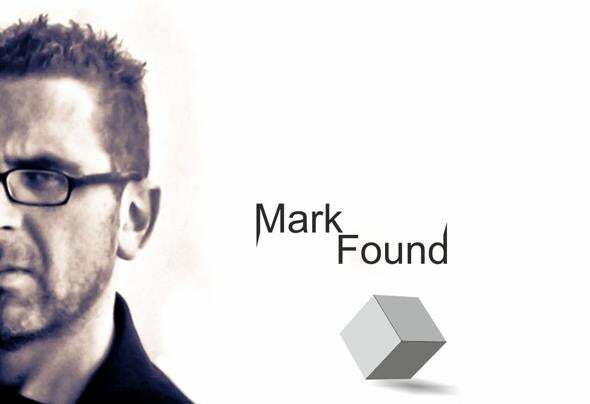 With the pseudonym of Mark Found, literal transposition of his name, today Mark is a progressive producer that brings with it a musical baggage started at the age of 16 years, in a local radio station into of his city, thanks to which came up for the first once at of the turntables and a mixing desk, cultivating the passion as a DJ, passing the first tracks of Acid House and Rap, from America. In 1990, together with his Technics SL1200 an Amiga computer creating his first real home studio. Some musician friends guide him to 'use the MIDI protocol and began to compose in the studio with a variety of synths and samplers of the time and shortly after having his hands between an older SIEL operates 6 analog, began as a keyboard player by creating the first tracks with audio-midi sequencer, Acid House and House. By proceeding as a DJ, Mark travelled all over Italy taking part in competitions as a DJ scratching and mixing speed, specializing more and more to these events. In 1996 was the turning point, as it formed a collaboration in the studio with a keyboard player and a DJ (latter 'today is a brilliant producer), where realized with commercial tracks together with an vocalist. In 2002, the collaboration into the study confirmed their friendship and bringing forward more and more experienced, they worked together on a variety of machines now modern DAW. The study was renewed in the equipment and functionality, forming the baggage of experience that today Mark Found pours into his tunes, as Icarus on Mistique Music, Origin and Cremisi E.P. on Darkpload Deep and as a side project Duluth - Begger on IBOGA Records / Inception Music Donum (original Mix) Track of the week by M.I.K.E. Push - Club Elite Sessions 358 / lately Suffused Music EP - Cutting the Cloud/ now also with Bonzai Progressive, and other releases that we will hear during 2014.